Ambassador Barna Karimi was born in 1974 in Kabul, Afghanistan. He went to Istiqlal High School in Kabul and in 1991 succeeded to enter in Kabul’s prestigious Medical School, where he studied general medicine until the summer of 1992 when the university was shut down due to the outbreak factional fighting in the country, followed by the Taliban’s oppressive regime in 1996. Omar SAMAD took up his posting as Afghan Ambassador to Canada in September 2004. 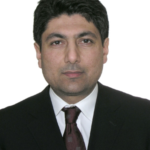 He served as the Afghan Ambassador to Canada from 2004 to 2009. 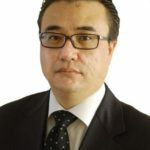 Prior to his arrival to Canada, he was the Spokesperson for the Ministry of Foreign Affairs in Afghanistan and Director General of the Information Division for three years.